There are some weird foods in the world. Fried tarantulas, bulls’ testicles, and meat that has been left to spoil underground for months are just some of them. If you’re curious, this meat is also left to spoil above ground for months after it’s pulled from the dirt. Many of these foods can have a lot of great health benefits for your life if you’re willing to try them. You don’t even have to visit all of these countries, you can get many of these strange and exotic delicacies delivered to your door. Like Amazon Fresh, but actually from the Amazon. These foods will excite you and repulse you at the same time. So, what are these eight quirky foods? Here’s a list. Read it, if you dare. You’ve heard of this superfood, most likely, so you might know this list is starting off on the tamer side. Wheatgrass is often used to cleanse the body and can be ground up into a shake. It tastes like wheat and grass, but many people swear by its health benefits. Brussels sprouts, carrots, and kale have health benefits, but they’re nothing compared to wheatgrass. 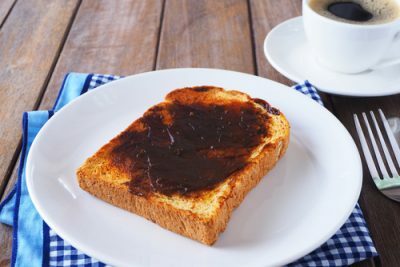 Popular in the UK, Marmite is usually spread on toast. Though this was forgotten on the YouTube featuring American trying this breakfast spread. Due to its salty, vinegary taste Marmite is put on toast or crackers to dilute the taste. Needless to say, they were some disgusted Americans during that try test. Marmite is low in calories, a great source of protein, vitamins and minerals and created from yeast extract. Some benefits of Marmite include that it breaks down carbohydrate, fats, and protein. 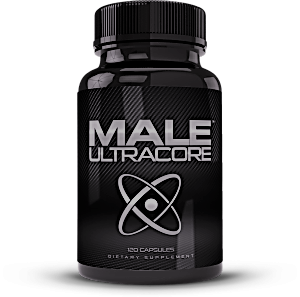 This increases the amount of energy your body is able to absorb and boosts your nervous and digestive systems. Marmite, at least according to the YouTube video, is an extremely strong flavor and should be spread on something, preferably toast, crackers, or biscuits. This is most certainly an acquired taste. Try it. You might like it. 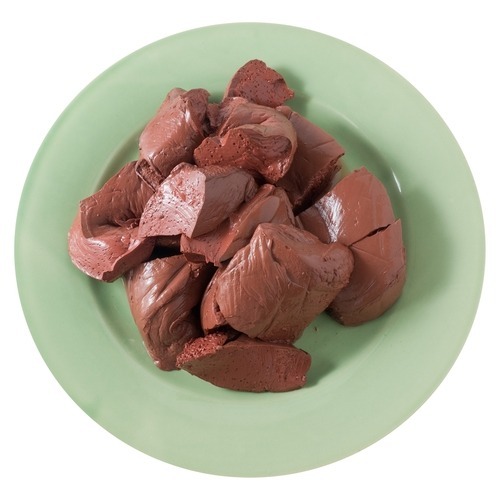 A delicacy in parts of the world, the liver of a calf is packed with Vitamins A and B. These vitamins can help migraine sufferers by reducing the severity and frequency of episodes. With almost 30 million Americans suffering from these potentially debilitating migraines, relative freedom from the fitful sleep, watery eyes, and throbbing pain on one side of the head or both is more than worth it. To get rid of these miserable symptoms you might try a piece of horse’s liver. Cows aren’t known for their intelligence, even thought they are very intelligent creatures, but you’ll be surprised what their brains can do for you. While the calf of a horse is a little strange, the liver of a cow is a well-known food here in America. Beef brains are overflowing with protein. Many people on a low-carb diet eat this meat. It’s low in fat but provides one-fifth of your daily protein with just 100 g servings. There are many ways to cook this food. I’d recommend fully. If your goal is to stay healthy, a cow’s brain will keep your protein in a good range. This breakfast food, popular in the UK, looks like a sausage. It can be nearly black in color or whitish-gray. It tastes somewhat like sausage but has a slightly different texture. Blood pudding isn’t a euphemism for something else, like dirt pudding is. It really is made from blood. The dried blood of cows or pigs is used to shape these sausage links and patties. If you have anemia, then blood pudding is a great protector against the cold and fatigue that may pervade your life with anemia. Other than blood, there is a specific iron called “heam” in blood pudding, which combats symptoms of anemia. Closely related to cabbage and broccoli, kohlrabi kind of looks like a turnip. It greatly complements salads and stir-fries and will add large amounts of potassium, Vitamin C, and phytochemicals into your body which will fight cancer. 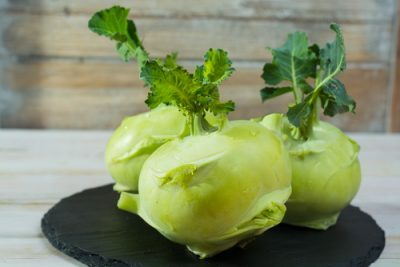 Though kohlrabi looks like a severely deformed turnip with white stripes and purple or light green leaves, it is an amazing addition to your diet. Many parts of the chicken are eaten. Their hearts, feet, beaks, and gizzards. Not to mention their breasts, thighs, legs, and wings. While these parts provide immense health benefits, their liver is full of folate, Vitamins A and B12, and iron. Folate can increase fertility and the selenium can ensure your thyroid stays healthy. There are many ways to skin a chicken liver. Wait, that’s not right. But it could be. The most common dish that includes chicken liver is pate. This is just one way to prepare this extremely healthy meat. There are many ways to prepare chicken liver. Pate is just one tried-and-true way. Full of protein, fried tarantulas are a popular food in Cambodia. Vendors may sell 100 in a day. Many non-Cambodians say they taste like shrimp and others say the hair gets stuck in the back of your throat. This eight-legged delicacy that goes well with beer and rice wine is making its way to America. Will you try? Expanding your repertoire of foods not only adds awesomeness to your life, it also gives you the chance to find new ways to fill your body with all the needed nutrients, minerals, and other needed substances to keep you healthy. Now, fried tarantulas might be going too far, but the food you eat is paramount to your health. Speaking of fried tarantulas, I’ve heard they actually do taste like chicken. And cod. Head to another country or order from the comfort of your bed. These eight odd foods will be waiting for you when you’re ready to try them. What can you lose? Definitely not your health.